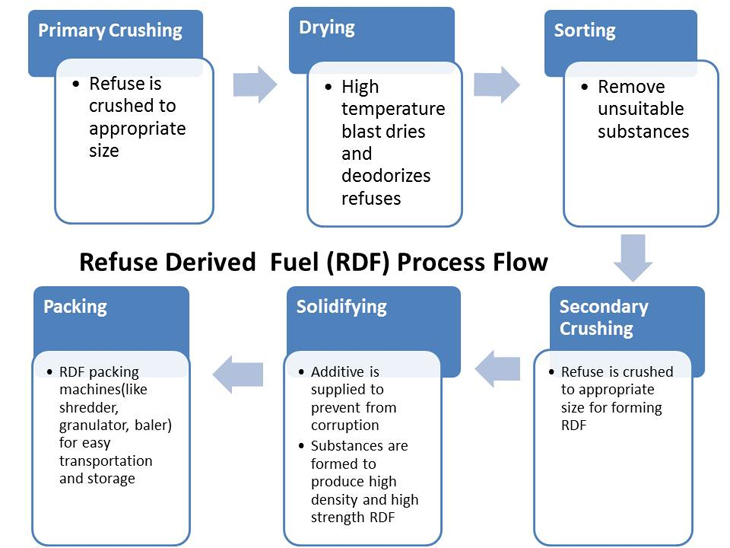 Refuse Derived Fuel (RDF) is a fuel produced from unrecoverable materials of municipal solid waste (MSW). It is largely made up of combustible components of municipal waste such as plastics and biodegradable wastes that are processed to obtain a product with a high calorific value. RDF is a great substitute for fossil fuels like coal or oil. It is used world-wide to produce electricity by burning it alongside traditional sources of fuel in coal power stations. It can also be used in the cement kiln industry or other co-incineration plants. Use of RDF benefits the environment by greatly reducing the emission of CO2 from the burning of fossil fuels. Without this energy recovery technology, non-recyclable refuse would simply end up in landfill or get incinerated, with a negative impact on the environment. At waste-to-energy (WTE) facilities, the collated wastes go through a range of processes to meet requirements for particle size, moisture content and non-combustible content. Firstly recyclable materials such as metals, wood, cardboard etc. and non-combustible materials like glass are removed. The residual wastes are then shredded for multiple times to reach the dimensional specifications. The shredded pieces will then be dehydrated to control the moisture content and at last can be packed in bales in order to optimize its handling and storage. Pre and re shredding is the nucleus of RDF production plants. 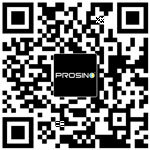 With various types of shredders and granulators available at PROSINO, we provide customers with size reduction technology for all kinds of waste and to various final output sizes. We also have belt conveyor, steel chain conveyors, screw conveyors etc. to help convey your materials to their destination. To find out more, please contact us for shredders & granulators at www.sinoshredder.com or balers at www.sinobaler.com.